Iran’s Mohammad Javad Zarif has reconciled with factions within Iran’s regime after his attempted resignation on Monday. 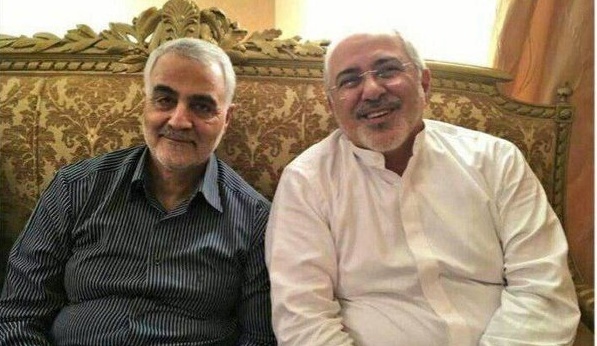 Zarif suddenly announced his departure via Instagram after he was excluded from meetings with visiting Syrian leader Bashar al-Assad. He suggested that the move was a “nudge” to restore the Foreign Ministry’s place in the making and implementation of foreign policy. Officials appealed to the Foreign Minister to reconsider, and President Hassan Rouhani gave a supportive statement on national TV before turning down the resignation. By Wednesday, the two men were pictured in amiable conversation while awaiting the Armenian Prime Minister. On Friday, Zarif expressed his appreciation for the supportive remarks of Rouhani. More significantly, he gave thanks to Maj. Gen. Qassem Soleimani, the head of the Quds Force of the Revolutionary Guards. Important aspects of Iran foreign policy, such as Tehran’s involvement in the Syrian conflict, have been handed over to the Guards, sidelining the Foreign Ministry. Zarif thanked the “wise” Supreme Leader for his “fatherly kindness and munificence”, saying that the support has doubled his determination to safeguard the country’s national interests. Iranians, regardless of their political, religious or ethnic inclinations, are aboard the same boat…. Unity and sympathy is the secret behind the victories of and progresses made by the great nation of Iran over the past four decades. It is also the main reason behind the failures of hegemonic powers, who seek to secure their interests by creating division among the Iranian society. Zarif also jabbed at the Trump Administration on Friday, following the failure of Donald Trump’s summit with North Korean leader Kim Jong-un. He linked this to the 2015 nuclear deal with the 5+1 Powers (US, UK, France, Germany, China, and Russia), the Joint Comprehensive Plan of Action, from which Trump withdrew in May. Zarif, who took office when President Rouhani was inaugurated in August 2013, led the Iranian negotiations for the agreement.